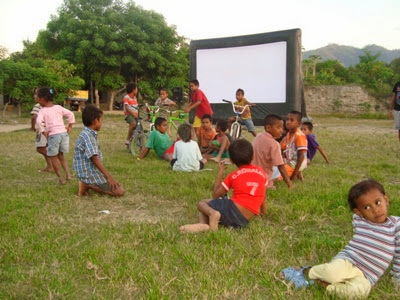 The local screenings around dili in March have been a huge success, with the rain holding off each Friday and Saturday night allowing Cinema loro sa'e to screen in a different village within Dili. 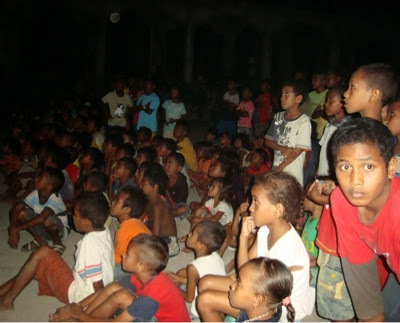 In Comoro Kampu Baru several hundred locals sang along to brazilian film 2 Filhos de Francisco, while the next night in Beto a thousand locals watched the ever powerful Balibo 5. 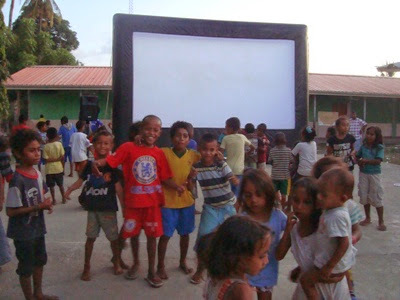 The following weekend Korean favourite Barefoot Dream was shown in Marconi, with Balibo showing in Lurumata. Finally last weekend Africa United, the celebration of World Cup Football and the spiriit of African adventure was shown at Kampo Alor, while the following night at the Kampo football ground Balibo was watched by another large crowd. 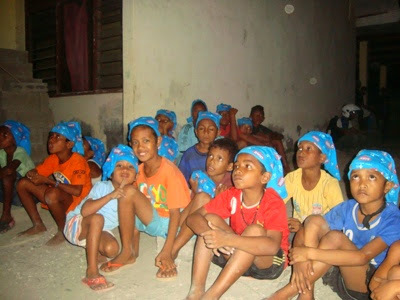 Next month screenings continue in and around Dili.